Three subspecies of the Northern giraffe (Giraffa camelopardalis) occur across Eastern and Central Africa. 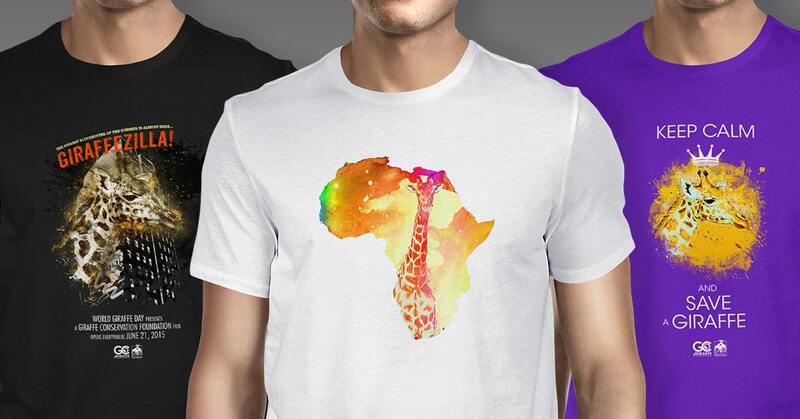 The Kordofan giraffe’s range includes some of Africa’s more hostile areas: southern Chad, Central African Republic, northern Cameroon, northern Democratic Republic of Congo, and western South Sudan. It is estimated that approximately 2,000 individuals survive in these war ravaged countries. A decline of more than 80% in the last three decades has resulted in their recent listing as Critically Endangered on the IUCN Red List. The Kordofan giraffe’s patches are pale and irregular. Similar to other Northern giraffe subspecies, they have no markings on their lower legs. The Nubian giraffe is the nominate subspecies, which means that because it was the first specimen recorded, its Latin sub-specific name is the same as the original species described. The estimated number of Nubian giraffe is approximately 3,000 individuals, which includes the genetically identical formerly recognised Rothschild’s giraffe. At present, fewer than 200 occur in western Ethiopia, 450 in eastern South Sudan, 800 in Kenya, and more than 1,550 in Uganda. Interestingly, the majority of Nubian giraffe in Kenya live extralimitally (outside their natural range), which is the result of an effort to establish viable populations for conservation. Exact information about the precariously small and fragmented populations in Ethiopia and South Sudan is extremely difficult to ascertain, and their numbers are most likely lower due to increased poaching in the region. Based on the rate of decline, estimated at 95% in the last three decades, Nubian giraffe were, for the first time, added to the IUCN Red List and listed as Critically Endangered. In 2010, the formerly known Rothschild’s subspecies was classified as Endangered and of High Conservation Importance on the IUCN Red List, but based on good conservation efforts of governments and partners, including GCF, the Rothschild’s giraffe was downlisted to Near Threatened as populations and numbers have increased. Once the IUCN recognises the two subspecies as one, the conservation status on the IUCN Red List for Nubian giraffe as a whole will most likely remain Critically Endangered, indicating an urgent need for immediate conservation measures. The Nubian giraffe’s patches are large, rectangular and chestnut-brown. The patches are surrounded by an off-white, creamy colour. There are no markings on their lower legs. At the beginning of the 20th century the West African giraffe were widely distributed, from Nigeria to Senegal, but by the mid-1990s only 49 individuals remained in the whole of West Africa. These few survivors are now formally protected by the Niger government, and their numbers have risen to more than 600 individuals. 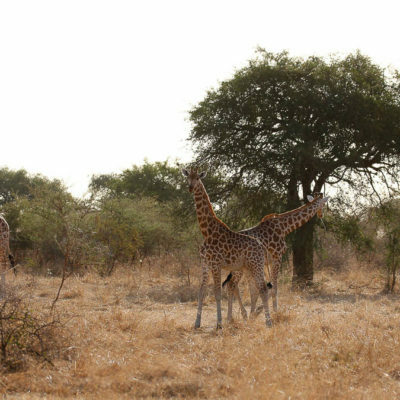 However, their future is still of great concern as they predominantly live in an isolated pocket (the Giraffe Zone) east of the capital Niamey, and share their living space with local villagers. No other large wild mammals occur in this area, and habitat loss and destruction is increasing. In 2018, eight West African giraffe were moved to the Gadabedji Biosphere Reserve to establish a new satellite giraffe population and thus assist the population’s growth in number and range. This translocation was undertaken by GCF in collaboration with the Sahara Conservation Fund for the Government of Niger. In 2008, the West African giraffe was listed as Endangered and of High Conservation Importance on the IUCN Red List; however, in 2018 it was downlisted to Vulnerable based on increased numbers and their conservation success story. The West African giraffe is noticeably light in appearance. Their patches are rectangular and tan coloured, and are broadly surrounded by a creamy colour. There are no markings on their lower legs.